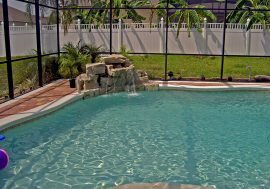 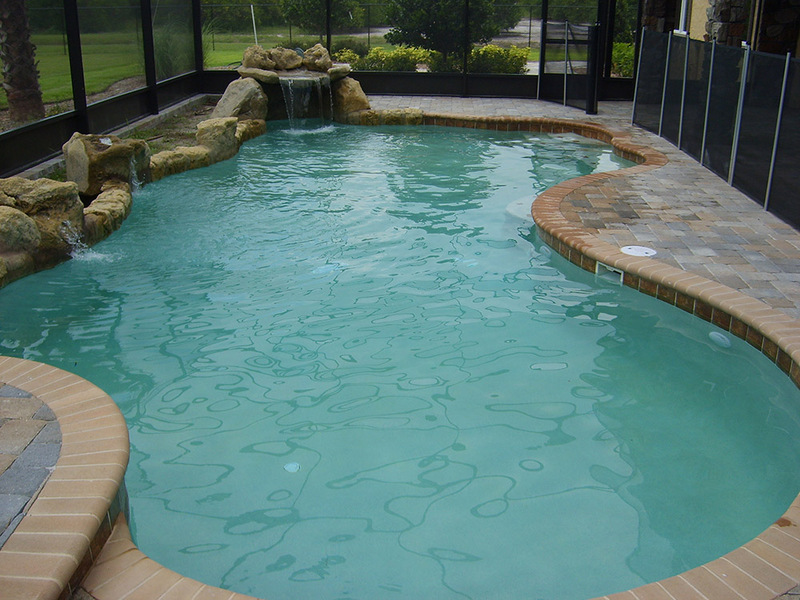 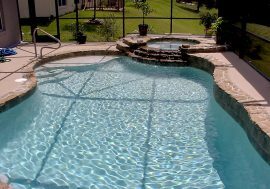 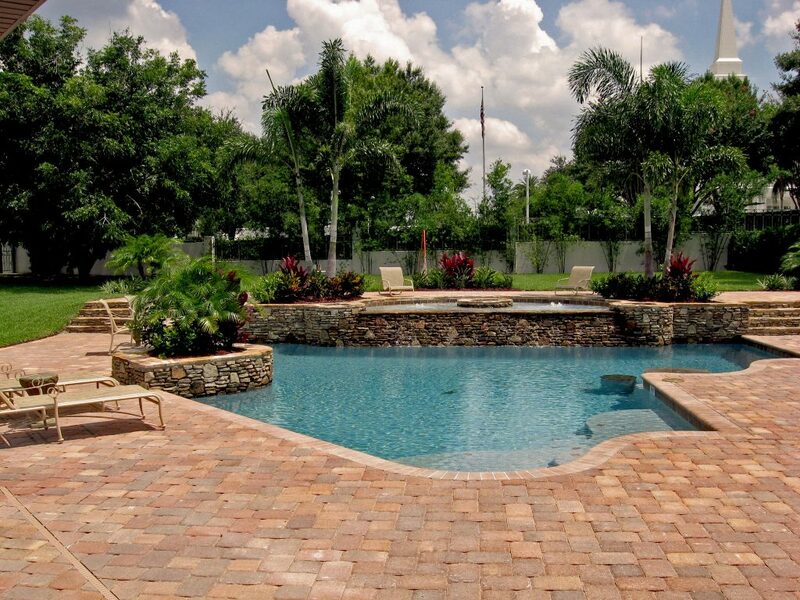 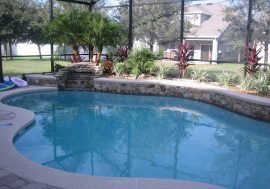 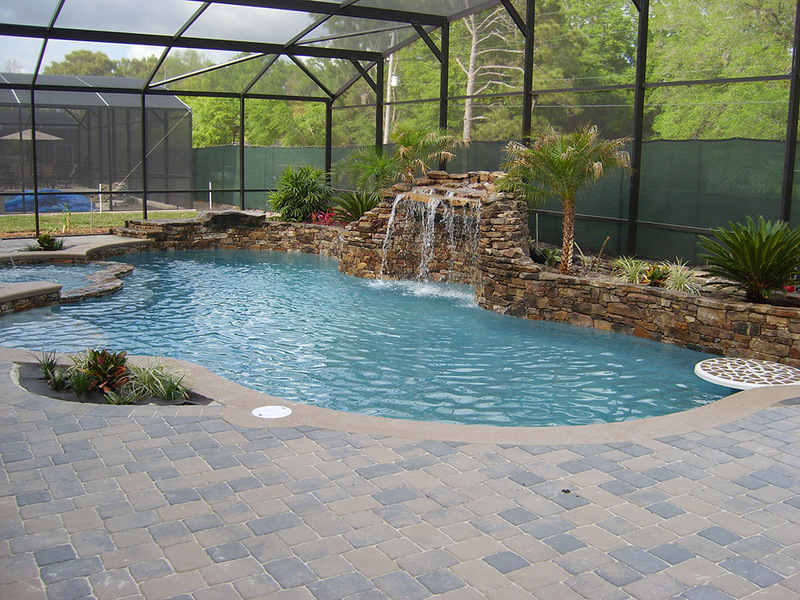 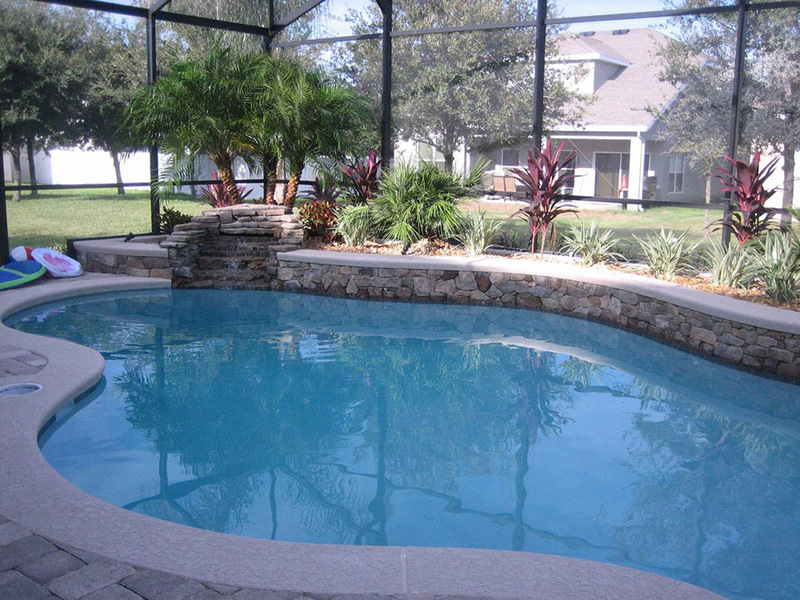 Pools with Rock Formations and waterfall grottos are one of the ultimate water features to add to a swimming pool. 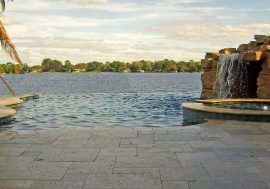 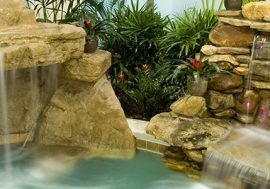 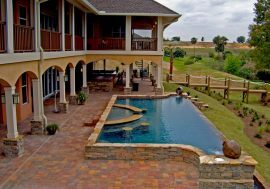 There is no question that waterfalls, fountains and other water features are among the most interesting and beautiful modifications that can be made to any backyard landscape. 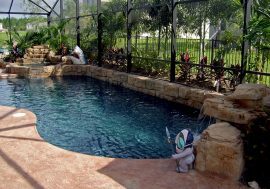 They provide a relaxing and soothing feature to whatever environment where they are featured. 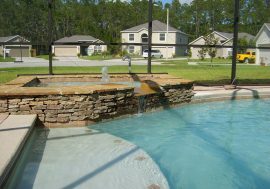 There are a great number of different types of waterfalls and fountain designs from which you can choose. 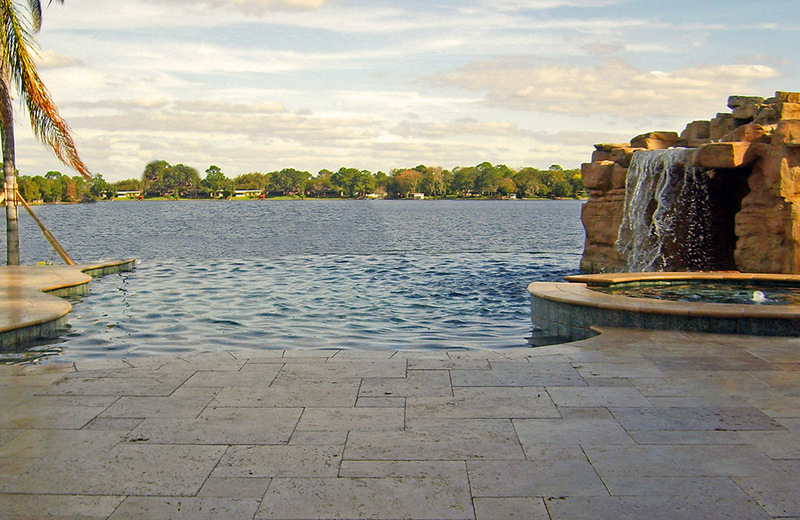 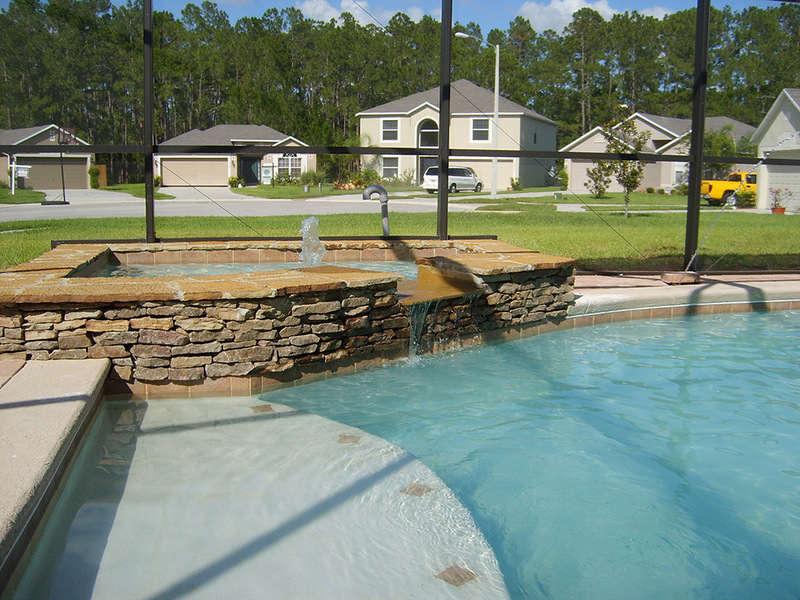 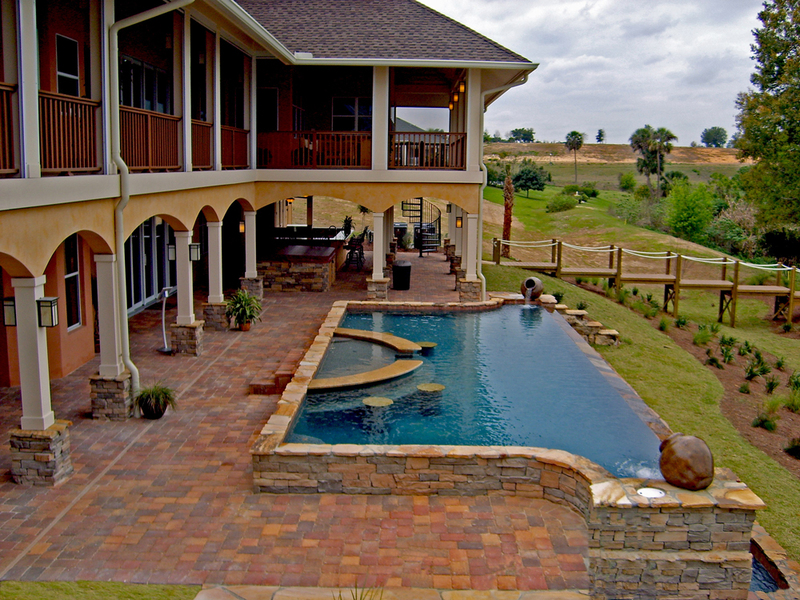 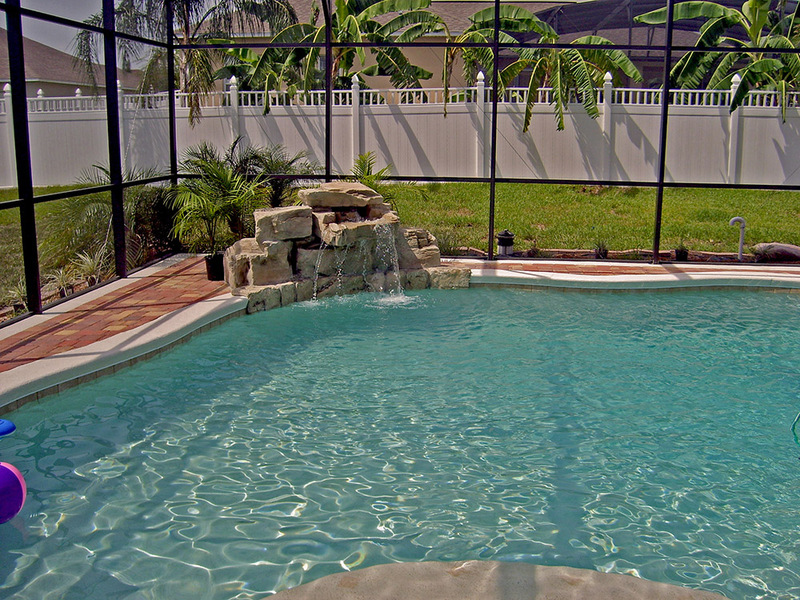 Take a look at our pool fountain ideas and contact us to get one for your pool today.